In a burglary, the story usually revolves around the perpetrator, the elements of the crime and the victims. Little attention is given to the rehabilitation of the parties, both criminal and victim, once justice is served. There have been studies on the impact of break-ins on the emotional and psychological well-being of victims. UK-based charity Victim Support (VS) warns that even if nothing is stolen in a break-in, the thought of a stranger entering your home can be cause immense distress. “Children in particular can be very frightened and may need reassurance, even if they don’t talk much about what’s happened,” VS notes. With technology, criminals are becoming smarter, more sophisticated and more daring. Having a home security system is non-negotiable. It’s as important as your peaceful sleep at night. Mothers like yourself should be abreast of ways on how to protect your family and valuables. 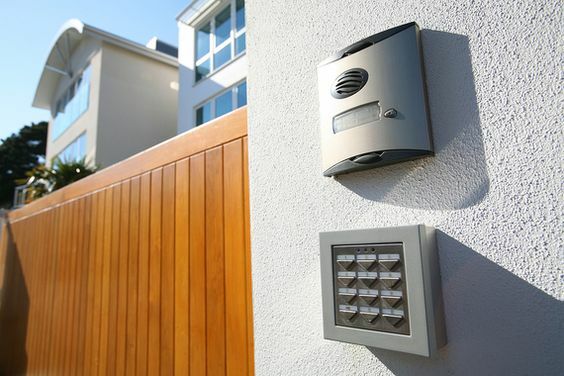 Here are budget-friendly home security trends that you should know. A wireless home security system is easy to install, convenient and affordable. No need to drill holes on your wall or worry about perpetrators simply cutting the wires of your alarm system. DSC alarm systems have a wide range of wireless devices that can be customized to suit your needs. Thanks to technology, security cameras are no longer for investigations after the commission of a crime. These can now be used to prevent untoward incidents via real-time monitoring. Do you want to keep an eye on your house while you’re out of town? Do you need to check whether your kids have arrived from school? As a mother, you need to be on top of domestic matters whether you’re at home or not. Install a DSC alarm system with remote interactive services for self-monitoring and check your home via your smartphone, tablet or computer. There was a time when setting up a surveillance camera at home was a luxury. Homeowners were content with a simple alarm system and a guard dog. Video surveillance is one of the home security trends this 2016 as manufacturers are making it more affordable to consumers. Today, you can access your surveillance camera remotely via electronic gadgets such as smartphones. Forget about keys and passwords. One of the hottest home security trends everyone should know is biometric verification. This technology utilizes a person’s unique identifiers such as fingerprints, retinas and facial features. You must be reminded, however, that no system is fool-proof. Ask your burglar alarm store for biometric home security systems as well as ways to manage it. Home automation is the core of home security trends in the next couple of years. Imagine adjusting your thermostat, turning on your surveillance camera and adjusting your motion sensors from your smartphone. A smart home, which allows homeowners to run and access various systems in the house, is gaining popularity everywhere primarily for its convenience. It has also become budget-friendly over the years due to increasing demand and new innovations. Seek advice from your alarm system store on how automation can help secure your home and your loved ones. Know how to update the software of your devices to prevent sophisticated burglars from breaking in. When you hear people saying their data are “up in the clouds,” it’s either taken with enthusiasm or pessimism. Through cloud storage, your security data (also known as “digital assets”) are maintained and managed remotely usually in servers outside your country. The data is accessible via your electronic gadgets on demand. No need for CDs, paper files and other hard copies of your security data. Despite the growing acceptance of cloud-based applications, critics are concerned about data theft that recently victimized several global banks. This, however, should not discourage you from taking advantage of this revolutionary storage system. There are DSC security devices equipped with top-notch features against cyber hacking. Setting up home automation is not enough. You should be aware of software updates required as often as possible. Change your password regularly. Ask for new programs that can give extra protection to your home security system. Choose an alarm store that not only sells superior products but also provides reliable customer support for repairs and upgrades. Nothing can be more frustrating than undependable customer support from your home security company when tragedy strikes. Check reviews by existing product users in social media, online fora and other similar platforms. For automatic alerts on attempted intrusions, smoke or leakage, you may set up notifications on your phone and other handheld gadgets. It is also advisable to set up emergency shortcuts in your phone that directs to immediate help. Even if you’re out of town, you can avert burglary and property damage due to natural disasters. Home security does not only entail tangible items. You and your family need to take extra precaution so as not to encourage criminals to prey on your household. If you’re going on a vacation, refrain from posting this info in your Facebook or Twitter account. A survey suggests that four out of five burglars use social media in choosing their targets. “Taking simple measures, including cutting back trees and shrubs to remove potential hiding places and installing simple alarm systems are all good, cost-effective deterrents that all homeowners can implement to remove their home from the target list,” says Jonathan Lim, security expert at Friedland. Teach your kids to regulate their social media use. The impact caused by a break-in goes beyond the damage of loss of properties. Victims are traumatized, injured, and in some cases, even killed. According to the FBI, a family member is at home during 60% of burglary incidents. Nothing can compensate for the damage of a burglary. There is a wide range of alarms systems, including motion sensors, that you can explore. Check out DSC alarms and its menu of budget-friendly security systems that suit homeowners’ various needs.